Fantastic products!! I recommend them 100% make an appointment and let the doc explain the product to you. You'll sleep like a baby!!!! Several phone conversation with office staff were very positive and helpful. First appt. exam and fitting for sleep apnea oral appliance went very well. Office staff and Dr. Bender were very patient with my questions and prompt with follow-up. It has been a very positive experience so far. I’ve been with the Sleep Apnea Center, about a year. Even though Dr. Sam just retired, I’d recommend them! They have multiple locations so you don’t have to drive to old town Arvada; except for 1st Time patients! I've been to this office. I worked with them to get sleep tested. Luckily for me my sleep test was negative, but I had a good overall experience. Dr Callender and his staff are wonderful and I could not be happier with my appliance. After years of severe sleep apnea (42 episodes an hour) and self-consciousness because of my snoring, my appliance has given me a new life (no exaggeration). After a year of trying and failing with a CPAP, the appliance is a life saver. Definitely worth the money. Very good staff and very good Doctor. Definitely recommend. I believe that you have probably saved my life with the device that corrects my serious sleep apnea, and for this I thank you. The apparatus is perfectly comfortable, and it's easy to get used to it. I was also impressed with the thoroughness of my exam and with the professionalism and kindness of everyone in the office. My sleep is no longer interrupted by choking, gasping and snoring; I already feel an increase in energy - no more nodding off to sleep at 4 or 5 in the afternoon! I highly recommend you and your practice to anyone suffering from sleep apnea. I am so glad that I found you! I was diagnosed with sleep apnea three years ago, although I know I had it for years before then. I was automatically put on a C-Pap. However, I could never stand to wear the mask for more than a few hours each night. I would actually take it off in my sleep. Eventually I was wearing it for less than an hour a night. And I was exhausted when I woke up each morning. I had trouble concentrating and staying awake at work in the afternoon. Sometimes I would have to take a short nap when I got home before I had the energy to cook dinner. After doing some research and learning about oral appliances, I found you. What a blessing that turned out to be. Since receiving my oral appliance, my life has drastically changed. I now wake up refreshed every morning. I no longer get sleepy every afternoon. And I sleep like a baby at night. I have energy all day long and cannot believe how good I feel. Thank you so much for what you do. I am telling everyone I know who has sleep apnea that they need to come see you! My husband recommended I write to you to thank you for the restful slumber he has enjoyed since I began using my custom mouth guard. In the fall of 2008 after suffering from sleepless nights due to receiving a nudge from my husband every time I did fall asleep due to my loud breathing, I asked my healthcare provider for help. A sleep study was recommended, and resulted in the diagnoses of "mild" sleep apnea. A CPAP machine was prescribed, however, unable to tolerate the noise from the machine combined with wearing a mask, I gave up using the CPAP almost as soon as the machine arrived in my house. In the spring of 2010, after a year and a half of restless sleep resulting in a lack of energy at work, foggy brain and a gain of 40 pounds of additional weight, my husband requested that I seek help from an ear nose and throat doctor. The doctor listened to the symptoms and handed me your card thinking your custom mouth guard may provide the solution. Within the course of my fist appointment at your office, I was so convinced both by the professionalism of your staff, as well as by the information you shared and your sincere reassurance the mouth guard would work, that I agreed to order my custom mouth guard. After a very short period of a few weeks, the mouth guard arrived on my husband's birthday. Less than a week later, he insisted I write to you to thank you. The mouth guard has provided both of us with weeks now of peaceful slumber. We wake up in the morning refreshed and energetic. The bikes are dusted off now, and we anticipate enjoying an active summer. Sleep, and the lack of it, affects everything significantly. I don't think I can adequately express our gratitude both for finding you, and for your seemingly simple solution to a debilitating problem. It is important for people suffering from apnea to know that there is an alternative to the CPAP machine, and that they can regain their life again. The apnea appliance Dr. Callender made for me changed my life. For several years I used a CPAP machine and delt with special screening lines at the airport, the inconvenience of sleeping with a mask over my face, and feeling dependent on an expensive and complicated machine that would be useless in a power failure. After a two-week adjustment phase and having used the appliance almost every night for about a year, I will never go back to regularly using my CPAP machine. International travel is easy with a device that fits in my shaving kit. In the summer when we sleep with the windows open I can smell freshly cut grass and listen to crickets and not the institutional sound of the CPAP machine. My wife likes it too because she no longer has to sleep next to Darth Vader. After many deployments...like many other soldiers, I developed breathing problems while sleeping. After doing a sleep study test, I was referred to Dr. Callender. I was then fit with a mouth piece that changed the way I have been sleeping. I'm a true believer after using it for almost two months now. My snoring is almost gone away and breathing is great! I sleep better at night and wake up refreshed in the morning. Thank you Dr. Callender for this wonderful creation for people like us with snoring and breathing problems. I would like to share how very pleased I am with your sleep apnea retainer with anyone who has a need for one. For about 4 years I was using a CPAP machine because of my sleep apnea. It was uncomfortable, cumbersome and a real problem when I would travel. Then one evening last fall, Mary and I attended a presentation by Dr. Callender about the retainer. I researched a little further and decided to try it. After using it for about 3 months I can't find the words that describe how pleased I am with my retainer! Truly, I've reached a point where I don't feel it in my mouth at all! I've even got to using it if and when I relax in the easy chair. There is no comparison between the retainer and the bulky CPAP machine when it comes to traveling. I don't even need electricity with the retainer! After visiting your office, I have been using the SomnoMed appliance for the past year. It has made my sleep deep and restful again. For several years I have suffered from sleep apnea, snoring, gasping, and waking in the night struggling for breath. I used a CPAP for the three years prior to visiting your office , trying one model after another in an effort to solve the problem. No matter how hard I tried, I would finally give up because the CPAP seemed to be more trouble than it was worth. I was at a loss as to how to deal with the problem. The CPAP itself seemed to keep me awake. One week after I started using the appliance you recommended, my husband and I noticed a great improvement in my snoring and restlessness. Both of us were sleeping better. Soon I noticed a real increase in energy, clearer thinking, and a more positive outlook on life. I’ve lost weight and no longer feel so many little aches and pains throughout the day. Now I find myself looking forward to a good night’s rest at bedtime rather than dreading the struggle to sleep at night. The positive benefits and the relief I feel at breathing easily each night are gifts for which I feel extremely grateful. I am so appreciative of both you and your wonderful staff. Each visit was a pleasure and I thank you for your professionalism, caring, and dedication. I do not know where to begin to thank you for the changes you have helped facilitate in my life. The mouth piece for my sleep apnea is a miracle. I now sleep at night for 6-8 hours at a time. I do not wake with headaches or feeling tired, I HAVE ENERGY! Co-workers have commented on how different I am at work, friends and family have noted I am in a better mood and feel like doing things, it is just remarkable. You have no idea what a blessing it is to have this under control, and most important to me, it is a drug free solution! I personally have been telling others about this amazingly simple fix to what has been a long time problem for me, and they are listening, so expect some phone calls. I have been using an oral appliance from Dr. Callender for the past five years to alleviate my mile case of sleep apnea. The appliance permits me to get a good night sleep and it stopped my snoring. It took my primary doctor ten months to diagnose the reason for my chronic daytime sleepiness. I felt as if I was getting only five hours of sleep when I had actually been asleep for eight hours. Once I started using the oral appliance, it took only a short period of time to adapt to sleeping with it in my mouth. I produced a lot of saliva at first. Also, my body required time to adjust to sleeping soundly again. I sleep using the appliance every night. It feels great to wake up feeling refreshed instead of tired. My life has returned back to normal. I am thankful for such an easy solution to a debilitating diagnosis. My initial problem was that I snored very loud and it was interfering with my wife's sleep. In addition, my dad has sleep apnea and through research, I discovered that sleep apnea is fairly hereditary. Because of both of these issues, I underwent a sleep study in June of 2012. The diagnosis was that I had moderate sleep apnea on my side and it was fairly severe when sleep on my back. The Dr. prescribed a CPAP machine and I used it for several months. For multiple reasons, the CPAP machine did not agree with me. I asked my general doctor about the oral appliance I had heard about and he told me that he was using one and that he had received it from Dr. Callender. He told me that is was working well for him. I did some further research and then called Dr. Callender's office for an appointment. I've been wearing it for going on 3 months now and it has been going very well. I don't snore anymore and per the sleep study I just underwent, it has nearly eliminated my sleep apnea. I would highly recommend this device to people who have a snoring problem and/or have difficulty with CPAP. Thank you all very much for your great help, enthusiasm and professional support in working with me to find a comfortable and workable solution to my sleep apnea issues. From my first contact with your office, to this day, I've been offered good science and the kindest and best care. Personally, from my earlier experiences with sleep apnea treatments and equipment offered by others, I was shy, but desperate to find an alternative workable situation for my health needs. In working together with you and your staff, your training, logic, and information, this connected me with a remarkable mouth device (OASYS). I now breathe better at night, and feel much better during the day. This is a comfortable device, easy to clean and is really very easy with which to travel. The engineering that went into this device is amazing, and the fabrication shows great strength. I used to direct a molding and casting business and used to work with a number of dental plastics. The construction and quality casting of this mouth device shows incredible precision - and is far beyond that of which my lab would have been capable! So again, I'm very happy with what you and your staff have been able to provide me. I have a treatment device and plan that works, and I'm comfortable with it, and confident it is the right and best solution for my sleep/health needs. You all are WONDERFUL, and thank you again for your kind and professional help. I know I'm dealing with the best! Thank you so much for all your help during the past few months as I transitioned from the use of a CPAP machine to a SomnoMed oral appliance. It is liberating to not be using a CPAP machine. Discovering an alternative has greatly simplified life for me. I do a great deal of traveling and carrying the oral appliance instead of a CPAP machine is so liberating. Thanks too for arranging the overnight sleep study to confirm significant improvement with the oral appliance. And, on top of all this, for which I am very grateful, it was especially great to interact with the wonderful staff you have. They are all wonderful and they helped make this a great experience! I wish to thank you and your staff for improving the status of my life. At age 69, I not only snored significantly, but was diagnosed with mild sleep apnea. I had a sleep study and results quantified that I had 10 events per hour (apnea and hypopneas). I received and began usage of a CPAP machine. However, I am away on vacations and camping trips quite a bit and couldn't always take the CPAP machine with me. So, I had a dental appliance built by your practice. After a number of months of adjusting the device in a pre-planned fashion, I finally achieved the placement that was recommended. After that, I did a follow up sleep study using the dental appliance and the results that were generated were very satisfactory. While using your dental device, not only do I not snore, but my events per hour have propped to 1.8. I am very happy with the results and plan to continue to use this device. I am so grateful for your help in diagnosing and fixing the problems. You have been very attentive and your staff has helped me whenever necessary. Thanks again! I wanted to let you know how much I like my Respire (Herbst) sleep appliance for my sleep apnea. I've had it for nearly a year, since October 2015. It is comfortable, has improved my sleep pattern, allows me to sleep on my side, and there's nothing on my face! Yes, it did require some time to adapt to the new device. Initially, there was some jaw and muscle discomfort while the device was being adjusted for proper lower jaw protrusion. You and your office staff gave excellent instruction in its use and what to expect, were very supportive and were always available to answer questions. Prior to getting the sleep appliance, I used a CPAP machine for nearly 5 years. The CPAP interrupted my sleep (and my husband's) for frequent readjustments, it was uncomfortable sleeping on my back and it was a hassle using it away from home (sleeping near an electrical outlet, getting through security, etc.). There were endless problems with equipment vendors. I had a follow-up sleep study (wearing the appliance) 2 months after receiving the sleep appliance: "The findings are consistent with a normal apnea hypopnea index; a diagnosis of obstructive sleep apnea is not supported by this test". Thank you very much for allowing me to enjoy a normal night's sleep! 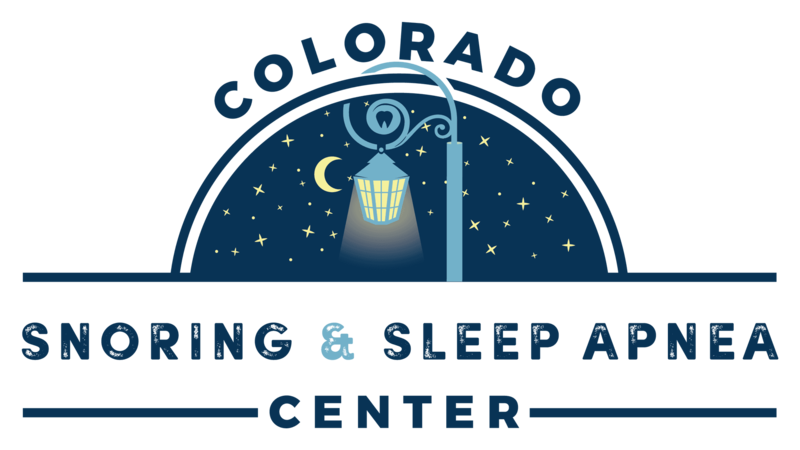 I wanted to take this time to thank Colorado Snoring & Sleep Apnea Center, specifically Dr. Sam Callender, for all the outstanding work I have received. I have had Severe Sleep Apnea for over 25 years and have tried every CPAP and BiPAP machine there is on the market. I have tried every mask on the market. After over 2 years of going through this, I complained that my stomach would always hurt the next morning, and was as hard as a basketball, and as big around too! The technician I had been working with said, "Are you an air swallower?" I replied, "Yes I am". He proceeded to tell me that none of these machines would help me! I was really discouraged because I had numerous Sleep Studies performed, and all of the results showed I stopped breathing 26 time per minute! Sometimes I wouldn't breathe for as long as a minute, and my wife would nudge me, and I would lift off the bed and grasp for air! I was told this was serious and that I had a good chance of having a stroke. I was lucky enough some how, through Dr. Jean Tsai at University Hospital, to be directed to see Dr. Callender. She said she had heard that he might be able to help me. She said he does not use CPAP or BiPAP machines. Dr. Sam has been the only person I have met that knows exactly the problems I have had, and what to do about it. The first time I met Dr. Callender, he could see what was happening when my jaw fell back and closed off my airway. I had impressions taken and proceeded to be fit for a mouth appliance. When I came back on my very next visit, my appliance was there. He, and his staff, know so much about sleep apnea, and fit my appliance with such professionalism that I felt like I was their most important patient. I love my mouth appliance, I use it every night, without fail. I wake up each morning and get right out of bed feeling like I had the best night's sleep I ever had. I used to wake up groggy and felt tired even before the started. My wife received a special gift also, I no longer snore! Thank you Dr. Callender and your whole staff for all the work. I had no idea there was anyone out there like you! My first visit to the office was for measurement and sizing for the dental appliance. The second was to try out, adjust and fit the appliance. On the third visit, progress was evaluated as I adjusted the appliance to extend the jaw. Each visit was about one month apart. On my fourth visit I was asked to describe my progress and satisfaction with the process. Overall, I believe my sleep has improved with the appliance. I am sleeping longer between wake-ups so I am waking up less. I didn't snore badly before, but my wife says I have stopped snoring altogether. I am dreaming more. While I initially was bothered keeping the appliance in my mouth all night and would sometimes just take it out, I'm now able to use it all night with little trouble. I feel a bit more clear and refreshed in the morning. On the other hand, I have had some difficulty re-positioning my jaw back to normal in the morning as the device has been adjusted further and further. It has been hard to get my bite back onto my back teeth. I've had to be careful chewing. I had recently been experiencing some discomfort in my jaw joints. The doctor and staff have again went over the steps to re-position my jaw with the bite plate, massage of the muscle/tendon to relax the jaw and exercise the jaw for re-alignment. This refresher course has helped with the bite alignment. The doctor dialed back the appliance a bit for comfort and made sure I understood the jaw relaxing techniques. I am already more comfortable with this process. All-in-all this has been a positive experience and I'm glad I have stuck with the process. Any issues have been minor compared to the likelihood of better sleep. A sleep study will be scheduled to determine my progress in sleeping better than I had been. That will be the true test. The doctor and staff have been so friendly and helpful it made the whole experience a lot easier than I had feared. I encourage anyone with severe sleep apnea to try this process. I have been losing memory due to not getting enough oxygen (hypoxic) at night for the last 2.5 years. I have had 4 sleep study tests at high altitude to imitate our home altitude of 8,500 feet to see if variations of CPAP/BiPAP with a full face mask or partial mask, CPAP/BiPAP with an oxygen concentrator, with and without various doses of restless leg medicines, helped bring my nighttime oxygen levels above 88%. None of these variations worked for me. My sleep doctor asked that I try adjusting my lower jaw outward by wearing a dental appliance at night created by Dr. Sam Callender. This oral device is designed to re-position my jaw to open my airway at night when my throat muscles are relaxed. If gradually moving the position of my lower jaw forward at night with the aid of a mouthpiece didn't solve my nocturnal hypoixa issues, my husband and I would be forced to move to a lower elevation. We love our cabin in the foothills west of Denver, and found it quite disturbing to have to move away from our friends, our church, and a community we have embraced for ten years. I agreed to have the appliance made (which was totally paid by Medicare) and spent about a month slowly adjusting my lower jaw forward every other day, doing exercises and stretching my jaw muscles to make this change gradually. I was discouraged after a month because my jaw ached and clicked and I had trouble adjusting my bite back to normal during the day. It hurt to eat, forcing me to eat liquids for 2 weeks. Dr. Callender and his staff encouraged me to stick with the plan to gradually move my bottom jaw forward. It took about 15 more days for my bottom jaw to reach the appropriate position. Next, I had another night sleep study done at high altitude. It showed a significant improvement in my oxygen levels during sleep, and with 1 liter of concentrated oxygen, my oxygen consumption at night reached normal levels. I am delighted that using an oral appliance (much more comfortable than a BiPAP or CPAP mask) in conjunction with a liter of oxygen will keep my memory from further deteriorating. Indeed the stress of not getting enough oxygen during sleep would strain my heart and make me much more at risk for a heart attack or arrhythmia, high blood pressure and stroke. At age 65, I didn't want to face those health hazards. I am deeply appreciative to Dr. Callender and his staff for their expertise, and their encouragement for me to continue their treatment. It is wonderful that I can keep my memory from deteriorating any further wearing this oral appliance nightly with oxygen, without having to move to lower altitude. Furthermore I didn't have to consider a costly and painful invasive surgery to re-position my jaw or to open up my nasal passages, or an electrical stimulating implant to open my airways. I can testify that Dr. Callender's oral appliance works, with minimal cost or disruption to one's lifestyle. I would be most happy to share my experience with anyone considering trying an oral appliance for their sleep apnea or hypoxemia issues. I just wanted to send a nots and let you know how thankful I am for my appliance and how much it has helped me. When I was referred to you by my primary care physician, I was suffering from severe sleep apnea, having an average of 42 episodes every hour. I was always exhausted and my work and social like were suffering for it. I had tried a CPAP machine for almost a year and it was a complete failure. I tried 3 different masks and they were all uncomfortable. The nasal mask was horrible. I would wake up and find the mask laying on the floor by the bed, or I would wake up after a couple of hours with a completely dry throat. I was beginning to have concerns about driving and was frustrated. I didn't want to go camping or anywhere with my friends because I snored so badly. When my PCP suggested I try the mouthguard/appliance, I was skeptical. The CPAP was such a failure and I can have an over-active gag reflex at times, but I made the appointment and came in. We discussed the appliance and I decided to at least give it a try. I knew going in to it that there was no guarantee but I needed to try something. I was getting depressed and desperate. I was also worried because my share after insurance paid theirs was over $500. What if it didn't work? I'm not rolling in money so I was worried about it not working and being out a significant sum of money. Honestly, it is about the best $500 I have ever spent. I can't tell you how happy I have been with the appliance. It goes in easily and fits well. Only one time in the couple of months I have had it have I woken up with it not still in my mouth. I can tell I am getting a better night's sleep every night. I wake up more refreshed, and I can focus better on my work. I recently went to Montana on vacation with some friends and they said they did not hear ANY snoring. You have no idea how much of a relief that is for me. The appliance is so much easier and more comfortable than the CPAP and I can definitely tell the difference. With all the negative side effects of sleep apnea, it is not an exaggeration to say that you probably saved my life. At the very least, you have significantly improved it. I cannot thank you enough for all the nights of good sleep I have had since getting my appliance. And, on top of it all, your staff is very courteous and professional. You and they are a wonderful group of people. Thanks just really doesn't cover it, but THANK YOU!!! !